The Coach Lantern is manufactured in vandal resistant polycarbonate with all the anti weathering benefits over die cast aluminium. The wall mounted units benefit from the versatile QUICK FIT system. The unique fast fit electrical connection eases installation and helps prevent the end user installing the product incorrectly. 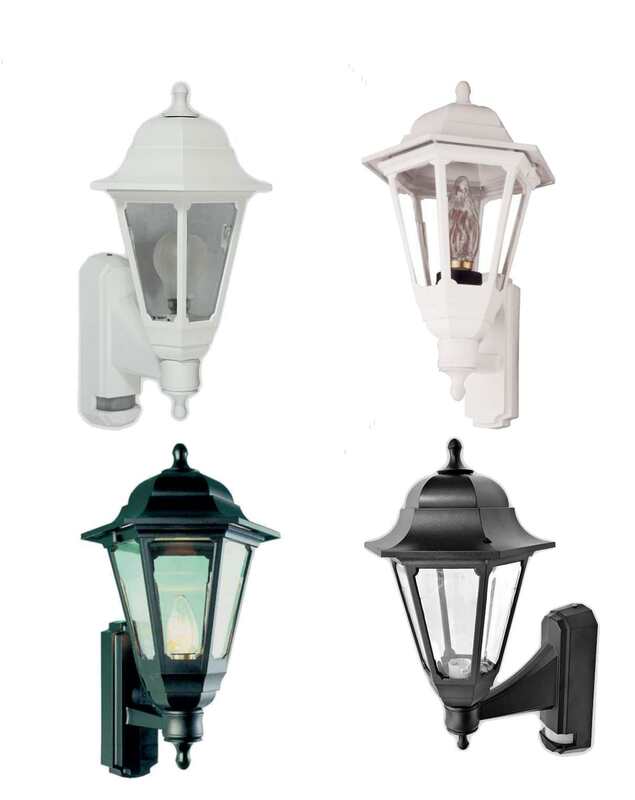 The lantern is available in white or black. This light is also av available with a choice of standard, photocell or PIR options. This lantern is a good choice for domestic use, but also due to its tough hard wearing design, it’s a good choice for student accommodation, social housing and much more. Lamp 100w (max) or LED BC (B22) Equiv.